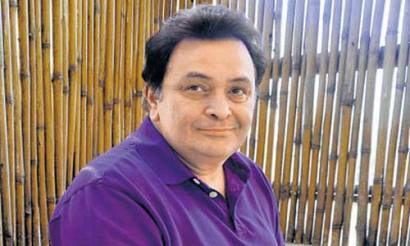 Veteran Bollywood actor Rishi Kapoor, has turned 60 on September 4, 2012. Many think that the actor debuted on screen at the age of 18 in the movie ‘Mera Naam Joker’, but not many know that he had first faced the camera as a toddler in the movie ‘Shri 420’ in the song ‘Pyaar Hua Ikraar Hua’. At the age of 21 he made his debut as the lead actor in the movie ‘Bobby’ opposite Dimple Kapadia. The film had become extremely popular among the youngsters. Then no one in the industry could beat when they talked about romantic movies. 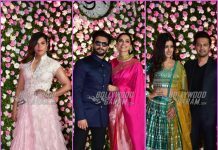 Rishi Kapoor had paired with Dimple Kapadia and Neetu Singh in many of the movies. Neetu and Rishi worked in many of the movies like ‘Khel Khel Mein’, ‘Kabhi Kabhi’, ‘Doosra Asdmi’ and others. Both of them fell in love with each other but not many knew that Rishi and Neetu’s families were not in favour of their marriage. But the two were determined and Rishi went to Neetu’s parents when he had high fever. The gesture did not go unnoticed but the families finally agreed for their marriage. Today the actor is celebrating his 60th birthday with his family in Dubai. Previous articleKim Kardashian to appear on Bigg Boss 6?